Two Israeli soldiers were killed as a result of the attack by the militant group, according to a statement released by the Israeli military. The statement also said that seven soldiers were wounded. The official announcement of the casualties was delayed for several hours so that the families of the victims could be notified. The Hezbollah statement says the attack was carried out by a group calling itself the “heroic martyrs of Quneitra.” Quneitra is a district in the Golan Heights. The name of the group suggests the attack was in retaliation for the January 18 airstrike by Israel on the Golan Heights, which killed six Lebanese Hezbollah fighters along with a senior Iranian general. 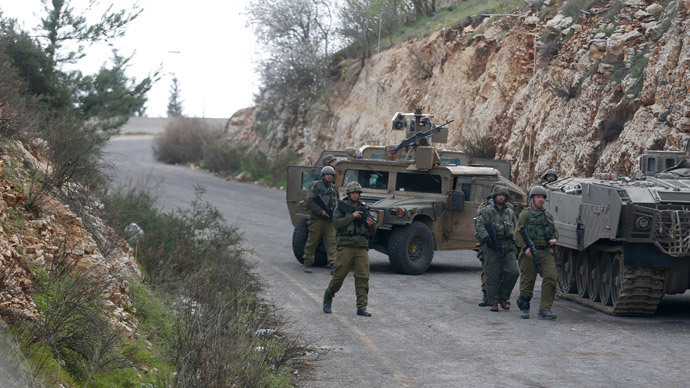 No soldiers were kidnapped in the Lebanon incident, the IDF said. "The rumor of abduction has been ruled out," Reuters cited Lieutenant-Colonel Peter Lerner, an Israeli military spokesman, who was commenting on Lebanese media reports of a soldier having been kidnapped. Israel responded to the attack on the IDF vehicle by firing 25 artillery shells into Lebanon, according to Lebanese security officials cited by Naharnet. 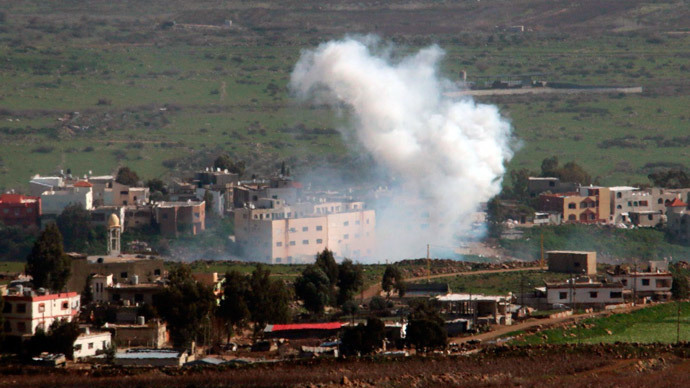 Mortar bombs launched from Lebanon then hit an Israeli military position in the Golan Heights, Reuters reported citing the IDF. PM Netanyahu: "To all those who try to challenge us on the north, I suggest you look at what happened in the Gaza Strip." A Spanish soldier serving as a member of the UN peacekeeping force in southern Lebanon (UNIFIL) was killed in the exchange of fire. "One peacekeeper was killed,” Reuters cited Andrea Tenenti, spokesman for UNIFIL, as saying. “We are looking into the circumstances of this tragic incident." The Spanish Foreign Minister Jose Manuel Garcia Margallo received a call from Israel’s ambassador expressing his condolences and apologies for the death of the solider, Sputnik reports. 36-year-old Corporal Francisco Javier Soria Toledo was killed this morning during the clashes, according Spain’s Defense Department. El Pais, however, cites military sources saying that Soria was killed by Israeli mortar fired in retaliation for a prior attack by Hezbollah. Residents in the Israel-controlled area have been instructed to stay indoors. “All residents are asked to return to their homes and to close all doors and windows until further notice,” the IDF’s Home Front Command said in a text message, cited by the Times of Israel. Airports in Chaifa and Rosh Pina have been closed, as well as roads along the borders with Lebanon and Syria. The IDF is holding an emergency meeting on the incident, Israeli media report. Lebanese schools in the villages near the border with Israel are being evacuated, according to Al-Arabiya. Meanwhile, Lebanon’s Prime Minister Tammam Salam has reiterated his commitment to the UN Security Council resolution that ended the 2006 Israel-Hezbollah War. Several hours earlier, Israeli jets struck several targets in Syria in response to Hezbollah rocket fire into the Israeli-occupied Golan Heights.